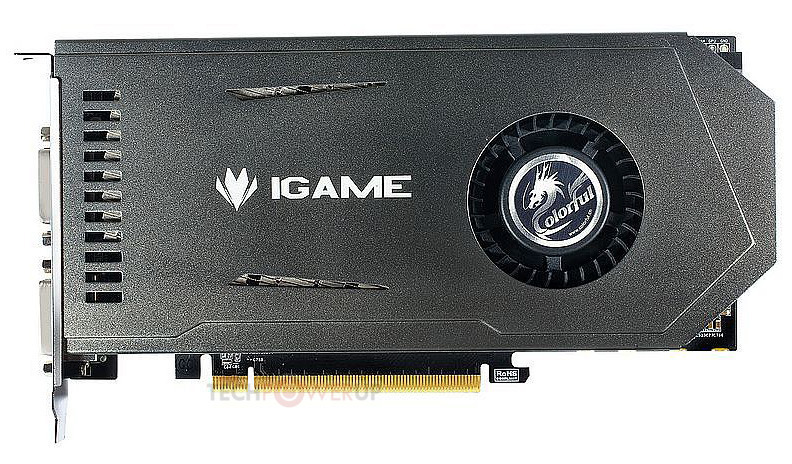 Colorful announces the world's first single slot GeForce GTX650Ti, which is named iGame GTX650Ti 1G Buri-Slim. Colorful firstly used the single slot design on iGame GTS450 1G Buri-Slim, which was released on the early time of 2011. 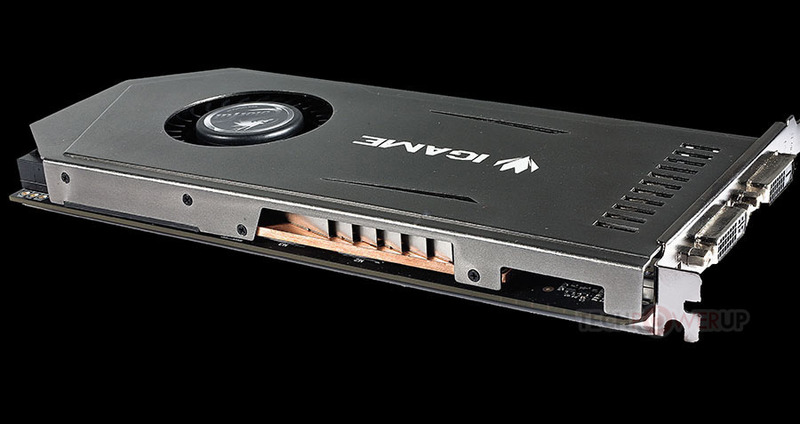 And we could also find some similar design ideas on this iGame GTX650Ti Buri-Slim. No ordinary solid capacitors are used on this card, but only high-C POSCAP capacitors, and with the high efficient ON-SEMI MOSFET, it has 3+1 phases of VRM. The chokes are installed through the PCB, they are based on penetrated design, so it could maximum improve the thermal performance of the card. The heat-sink is made up by a copper base, aluminum fins and a turbofan. The shell of the heat-sink is made of Aluminum, which looks stylish and helpful for the heat radiation. 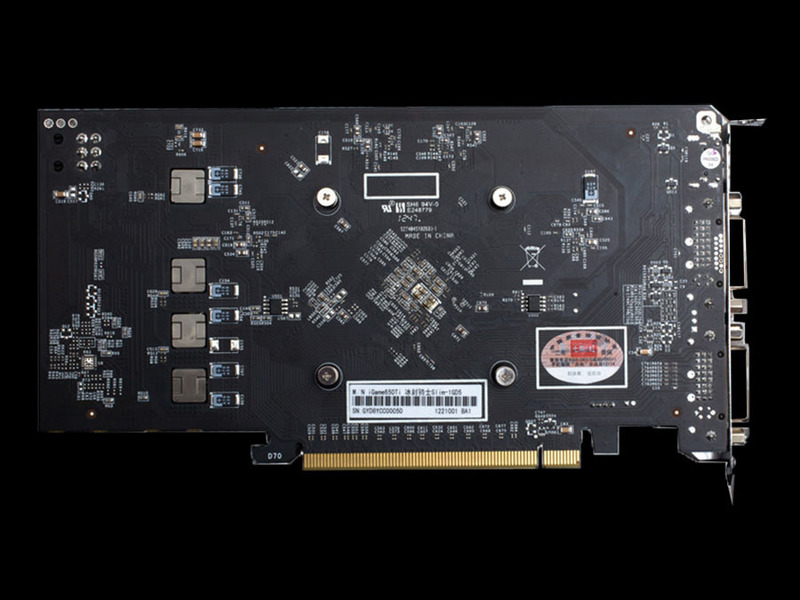 The iGame GTX650Ti Buri-Slim is set the core clock for 928 MHz and memory clock for 5400 MHz. It has two of EMI-shield Dual-link DVI ports and one mini-HDMI port. I think that PR blurb needs some spelling and grammar checking. Single-slot card? Meh. Wake me up when it's a Low Profile card. Would be waste of money, time, resources, etc. since GTX 650 Ti does NOT support SLI. Old cooling heatsink concept, but still looks so nice ! I noticed the cooler had that area uncovered, but didn't recall that detail. No RAM or VRM heat pipes sticking out the sides? GREAT to see 2x DVI on a 650Ti card. I think that is a first. But HDMI stinks. Should have been DP. ..so it could maximum improve the thermal performance of the card. Also, if adding a card in the next slot is either not physically possible or excessively affects the cooling of the first card, it's generally not considered to be a single slot cooler. What's the point in single-slot cooling systems anyway? No, sir. You sit corrected — unless you're standing in front of your computer, of course. indeed. single slot is useless when not used in SLI! So that multi-card setups can breathe. Or to be able to use the remaining slots, in the motherboard, usually covered by the card. Alas...the card does not support SLI. But you can use the PCI connector below it.